The Mediterranean climate combined with rich volcanic soil, has proved a nourishing source from which local produce is grown. Some of this is cultivated in the resort’s own vegetable garden, giving ingredients a distinctive taste and aroma that Vedema’s restaurants have become defined by. Each venue offers authentic gastronomic experiences in line with a zero carbon emission policy and a commitment to sourcing sustainable produce. 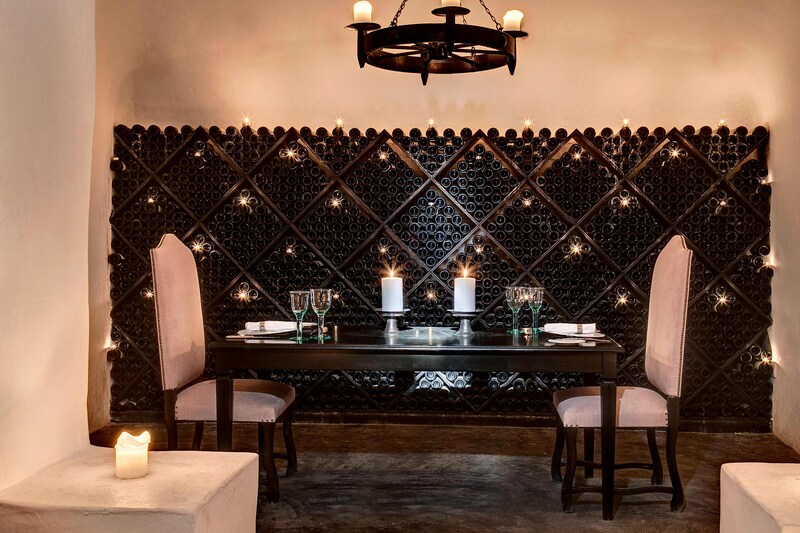 Alati Restaurant has evolved from the 400-year-old winery cave, made from distinctive stone walls that gives the eatery an enchanting atmosphere. 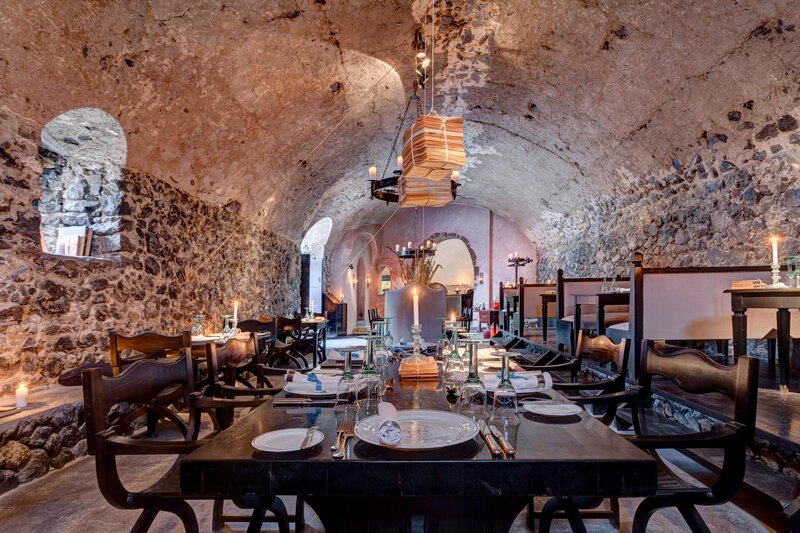 Indoor or terrace dining, showcase the creative fish and seafood inspired menu giving guests a refined taste. 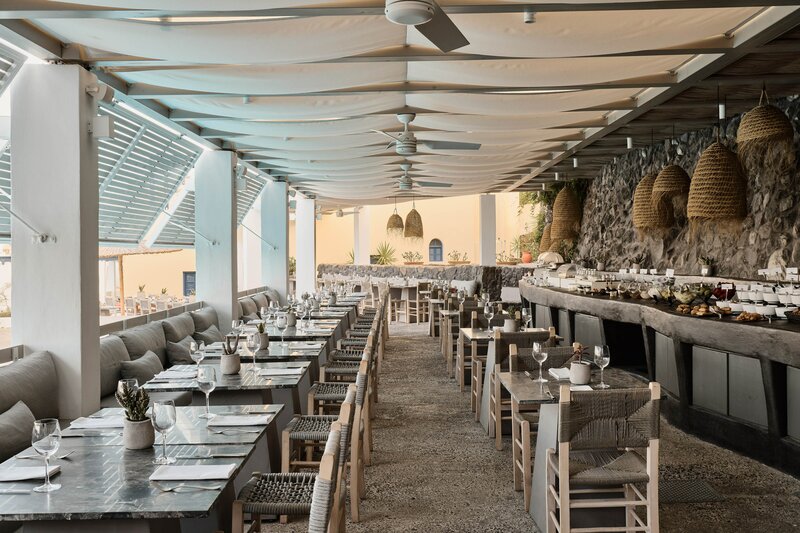 Privé Dining offers the option, with an advance booking, for guests to savor, five- or seven-course degustation menus that highlight the myriad flavours of Santorini. Sits poolside and offers American-style buffet breakfast, traditional Greek cuisine, Mediterranean barbecues and snacks.